This image is the last look at Pluto’s Charon-facing hemisphere. with some intriguing hints of features that may be impact craters and ridges. Unfortunately, there won’t be any higher resolution images collected. 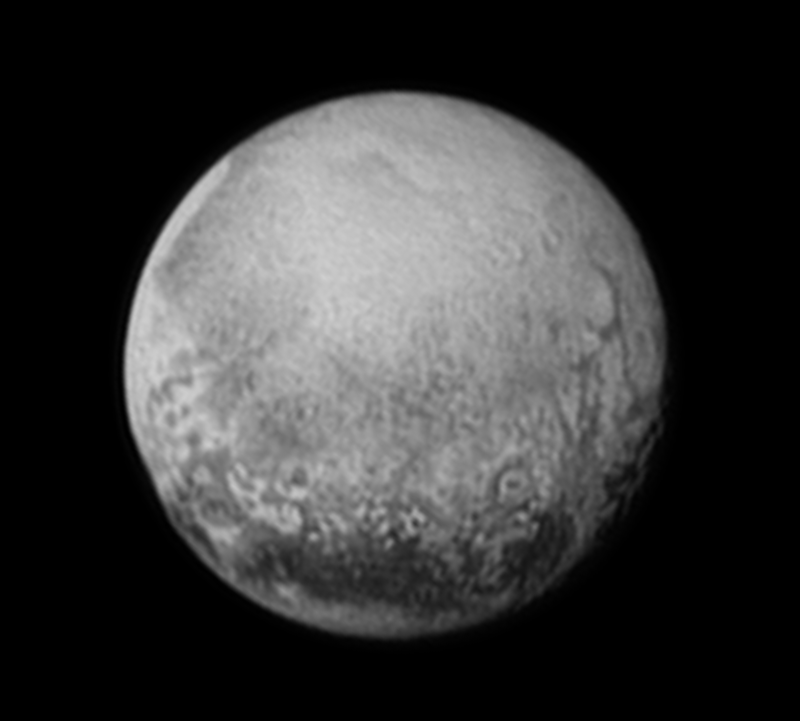 As it passes Pluto on Tuesday, New Horizons will be imaging the opposite side of the planet. This entry was posted in Space & Astronomy and tagged New Horizons, Pluto. Bookmark the permalink.